'Every so often there is a rebellion against the assumption that Shakespeare is a uniquely great writer. This feeling has vociferous supporters in the academics, teachers who want to be rid of what they regard as heritage lumber. There are alsothose, in my view almost equally wrong-headed, who continue to adore the Bard without giving much thought to the problems he sets. My belief is that, like the very critical Ben Jonson, we need not shrink from saying that some of the work is mediocre or worse. What we do need is new ways os saying why the best of him realy is the best.' Kermode talks to theatre Director, Richard Eyre. 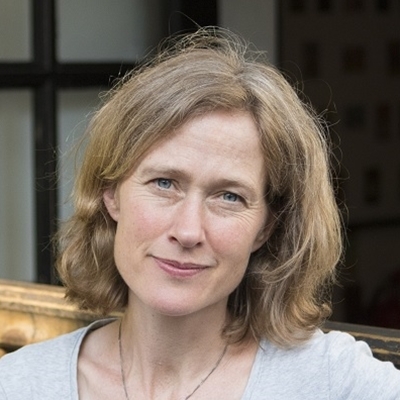 The author of A Village Affair, The Choir, A Spanish Lover, The Rectors Wife and The Best of Friends talks about her new novel Next of Kin - a story about incomers and insiders, change and resignation, set at the tragic heart of Britain's dairy farmland. Can men respond to feminism? In the era of Trump, Weinstein, #metoo and #timesup, feminist anger has reached a crescendo, and it is not for the first time. Delap looks at past efforts by women to get men to listen, and attempts by men to reshape masculinity in 20th century Britain. Dr Delap is a lecturer in Modern British History. 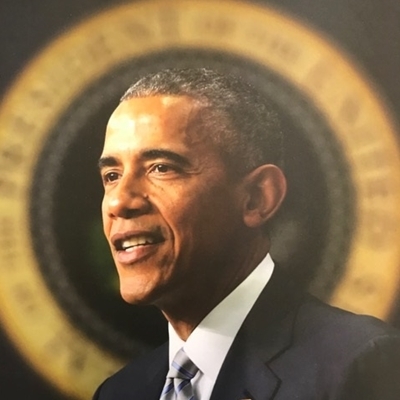 Here’s the politician, leader of the free world and global icon as portrayed on the covers of the world’s magazines and newspapers during his presidency. The author is joined by the editor of GQ for a revelatory conversation about portraiture, power and propaganda. 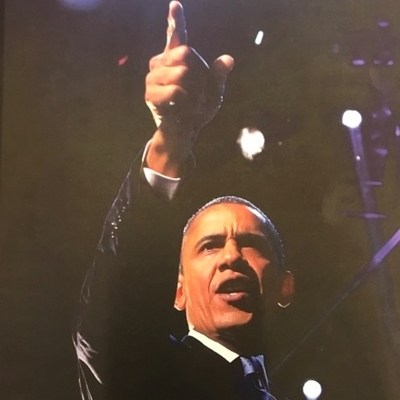 Arogundade will present a selection of amazing covers from Barack Obama’s 8-year presidency, along with ‘Obama vs Trump’, comparing his front pages with those of America’s current president. Arogundade is the author of ten books, including ‘Black Beauty’, his debut novel, 'The Sexual Language of Strangers' and ‘Obama: 101 Best Covers’. ‘Black Beauty’ was honoured by the New York Public Library and was the subject of a three-part BBC documentary. The creator of Scream Street introduces his new series Fangs, with games, stories and a lot of laughs as vampire agent Fangs Enigma tries to save the world. 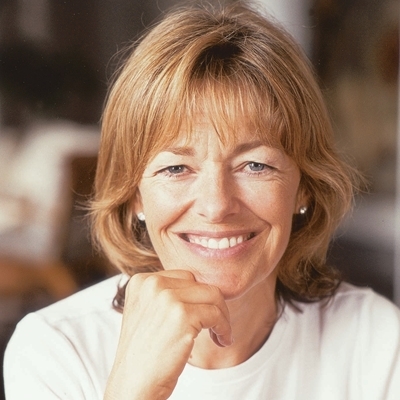 Junk won the prestigious Carnegie Medal and Guardian Children’s Book Prize in 1996. It was criticised for depicting young drug-users. Twenty years on, author Melvin Burgess discusses the book and the controversy that has surrounded it with Julia Eccleshare. A well of memories draws us into the Welsh landscape of the poet’s childhood: her parents, the threat of war, the richness of nature as experienced by a child. In the second of the collection’s six parts we find ourselves in the Zoology Museum, whose specimens stare back from their cases: the Snowdon rainbow beetle, the marsh fritillary, the golden lion tamarin. In later sections the poet invites us to Hafod Y Llan, the Snowdonian nature reserve rich in Alpine flowers and abandoned mineshafts, ‘where darkness laps at the brink of a void deep as cathedrals’. Clarke captures a complete cycle of seasons on the land, its bounty and hardship, from the spring lamb ‘birthed like a fish/steaming in moonlight’ to the ewe bearing her baby ‘in the funeral boat of her body’. 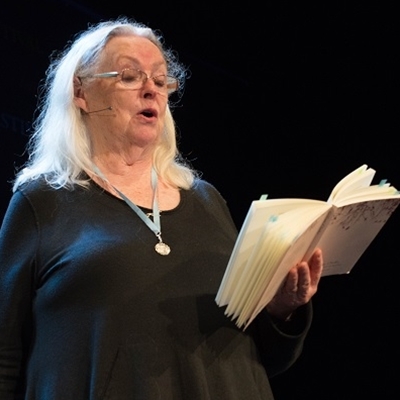 The poems tap into a powerful, feminist empathy that sees beyond differentiations of species to an understanding deeper than knowledge, something subterranean, running through the land. Chaired by Imtiaz Dharker. Small presents three trajectories of the Qur’an’s history that are featured in his book Qur’ans: Books of Divine Encounter. The first is the theological idea of the eternal word of God entering time and space as text, and the effect this idea has had on the decoration of the Qur’an. The second is the effect this theological idea has had on the uses of the Qur’an in recitation, medicine, and mediation with the unseen world. The third is how the Qur’an came to be in its present form with how it’s written and oral versions have always been inextricably intertwined. Small is a Manuscript Consultant to the Bodleian Library at Oxford University. A portrait and study of the pamphleteer and most influential poet of the English Language, the author of Paradise Lost. The novelist and former Vogue Fashion Editior Sally Brampton discusses the history of modern British fashion with the award-winning couturier Jasper Conran and Colin McDowell, Fashion Editor of The Sunday Times and author of Forties Fashion and the New Look. Celebrate 25 years of this picture-book with its award-winning creator Simon James (Baby Brains, Nurse Clementine). Little Emily has a whale living in her garden pond and decides to write to Greenpeace for tips on how to look after him. With storytelling and live drawing, Simon takes you on a journey through this much-loved classic and introduces you to his latest book, REX. Joan Valent es un brillante músico y compositor mallorquín, autor de la música de películas de directores como Álex de la Iglesia o Antonio Chavarrías. Sus composiciones musicales están publicadas por la Deutsche Grammophon, lo que le convierte en el único español vivo en publicar con esta prestigiosa compañía de música clásica. Actualmente es el director del Festival de Música de Pollensa. Conversará con el editor Malcolm Otero Barral. The songwriter in conversation. She talks about her lyrics, her music and her poetry, Her collected writings, interviews, and essays are published as The Passionate Eye. Marking 25 years of Drik, this anniversary book is the first of a series of books presenting Bangladesh today. They portray the promise of Bangladesh, and tell our stories with integrity and compassion. Labour's most popular ex-politician, the ex-Northern Ireland Secretary publishes her characteristically off-message autobiography Momentum. She talks to the Today anchor, author of The Rivals, a study of the Brown-Blair oxymoron at the heart of the New Labour project. In July 1961, just before David Aaronovitch’s seventh birthday, Yuri Gagarin came to London. The Russian cosmonaut was everything the Aaronovitch family wished for - a popular and handsome embodiment of modern communism. But who were they, these ever hopeful, defiant and (had they but known it) historically doomed people? Like a non-magical version of the wizards of J K Rowling’s world, they lived secretly with and parallel to the non-communist majority, sometimes persecuted, sometimes ignored, but carrying on their own ways and traditions. 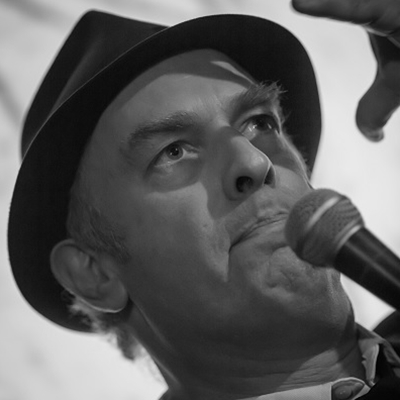 Aaronovitch revisited his own memories of belief and action. He found himself studying the old secret service files, uncovering the unspoken shame and fears that provided the unconscious background to his own existence as a party animal. Stubbs took over Philip Lawrence's school after he was murdered. Her book, subtitled How an Aspiring Headmistress Gave Children Back Their Future, tells her inspiring story. She talks to the broadcaster Rosie Boycott. Novela histórica: entre realidad y ficción. Tres autores nos hablarán de la relación que se establece entre la historia y su obra literaria: en La sangre de los libros, Santiago Posteguillo presenta un recorrido por los acontecimientos más enigmáticos de la literatura universal; Juan Esteban Constaín dedica su libro, El hombre que no fue Jueves, al escritor inglés G.K. Chesterton; y Pablo Montoya es autor de novelas, poemas y ensayos, entre ellos, Novela histórica en Colombia 1988-2008. Entre la pompa y el fracaso. A full-scale portrait of the marriage of the father and mother of the USA - and of the struggle for independence that they led. 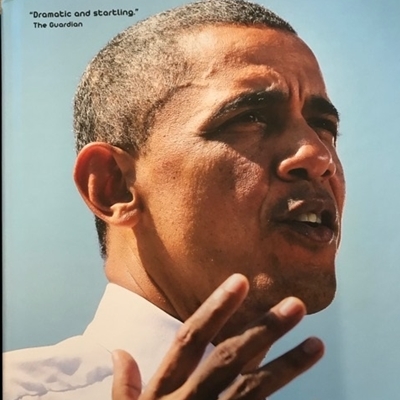 The historian provides us with a brilliant account of the public President and of the war he waged, and introduces us to the couple’s domestic lives. In conversation with Corisande Albert. 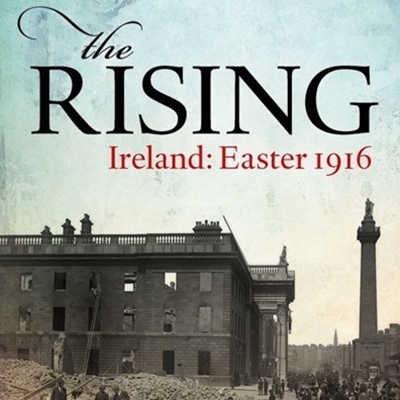 The Easter Rising of 1916 not only destroyed much of the centre of Dublin – it changed the course of Irish history. But why did it happen? What was the role of ordinary people in this extraordinary event? What motivated them and what were their aims? McGarry makes use of a unique source that has only recently seen the light of day: a collection of more than 1,700 eye-witness statements detailing the political activities of members of Sinn Féin and militant groups such as the Irish Republican Brotherhood. He illuminates their motives, concerns, and aspirations, and highlights the importance of the First World War as a catalyst for the uprising. Chaired by David Dwan. 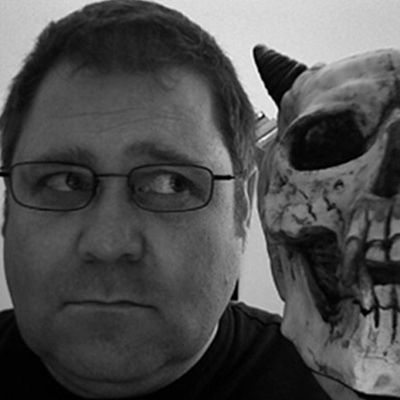 Philip Barrett is an illustrator, designer and comic artist originally from Co. Donegal. 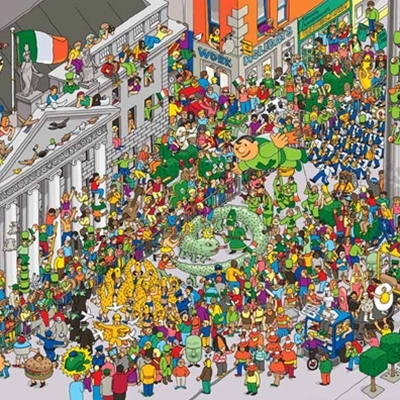 Find Larry the Leprechaun in this illustration workshop, based on his book Where’s Larry? Want to cook ridiculously good vegan food from scratch but have no idea where to start? Firth and Theasby, creators of the world’s biggest and fastest-growing, plant-based platform, BOSH!, are the new faces of the food revolution. They share their favourite go-to breakfasts, crowd-pleasing party pieces, hearty dinners, sumptuous desserts and incredible sharing cocktails. Hosted by John Mitchinson. The Guardian cartoonist Martin Rowson employs his trademark draughtsmanship and wit to this lively graphic novel adaptation of Marx and Engels’ revolutionary pamphlet. Published to coincide with the 200th anniversary of Marx’s birth, at a time of deep mistrust in The Establishment, The Communist Manifesto is both a timely reminder of the politics of hope and a thought-provoking guide to the most influential work of political theory ever published. 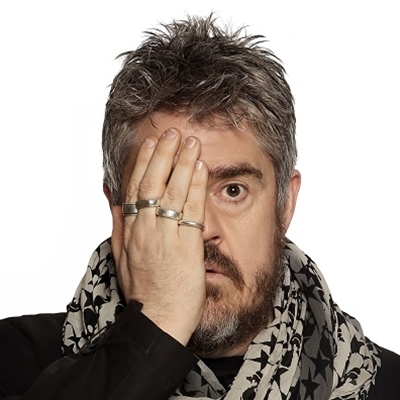 He introduces his pictures and talks with the comedian Phill Jupitus.